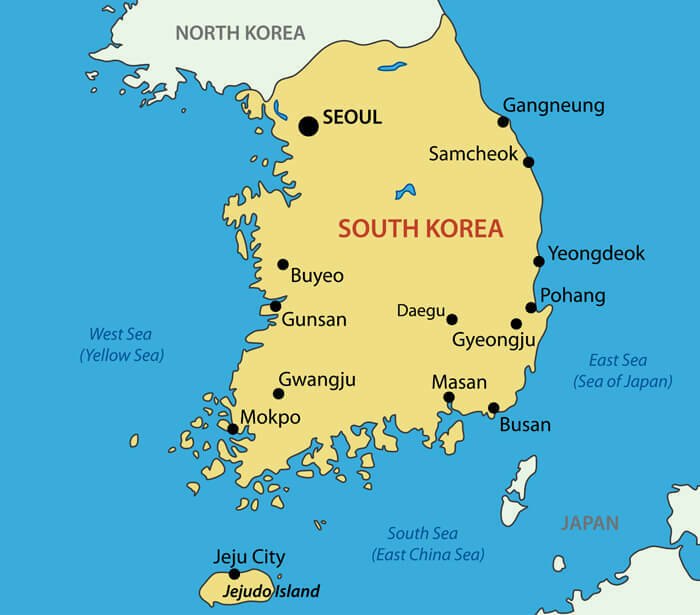 Navigate South Korea map, satellite images of the South Korea, states, largest cities, political map, capitals and physical maps. Administrative map of South Korea with provinces. 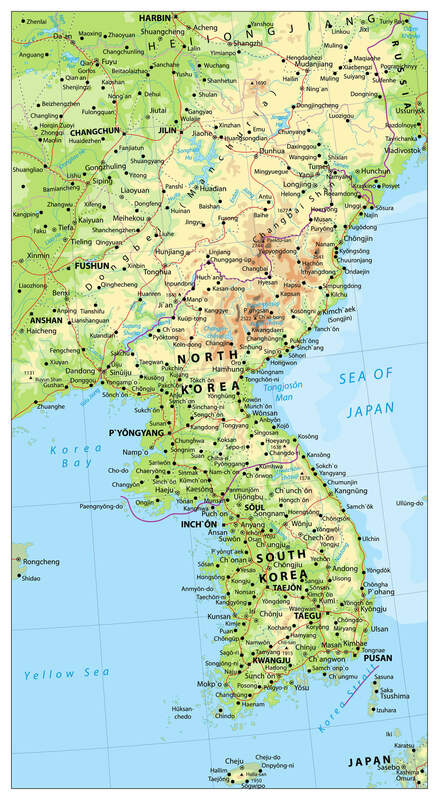 North Korea and South Korea political map with capitals Pyongyang and Seoul. Korean peninsula, national borders, important cities, rivers and lakes. English labeling and scaling. 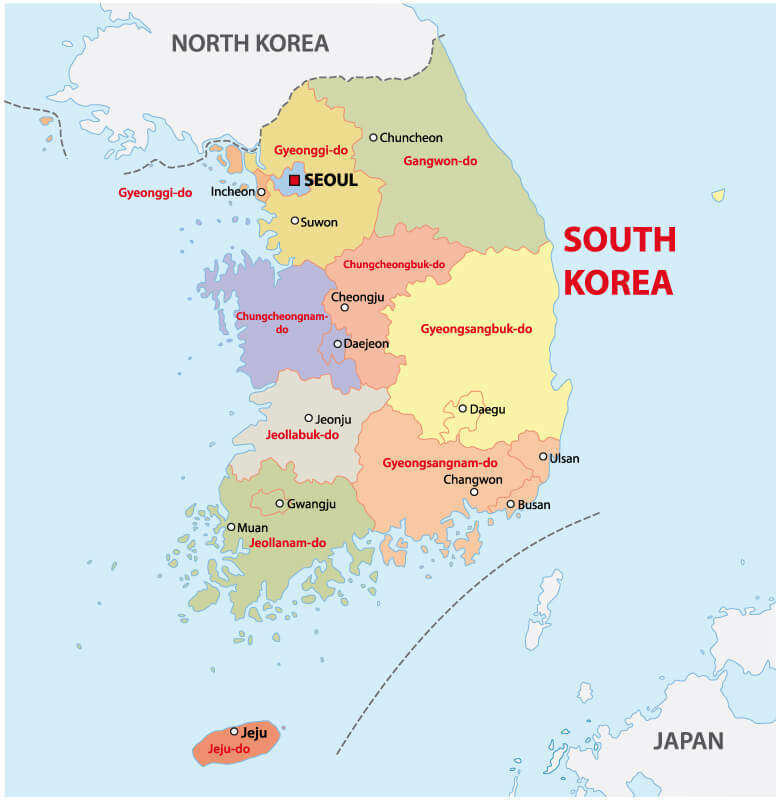 South Korea political map with capital Seoul, national borders, important cities, rivers and lakes. English labeling and scaling. Korean Peninsula large detailed physical map with roads, railroads, water objects, cities and capitals. turkey-visit.com offers a collection of South Korea map, google map, Asia map, political, physical, satellite view, country infos, cities map and more map of South Korea.